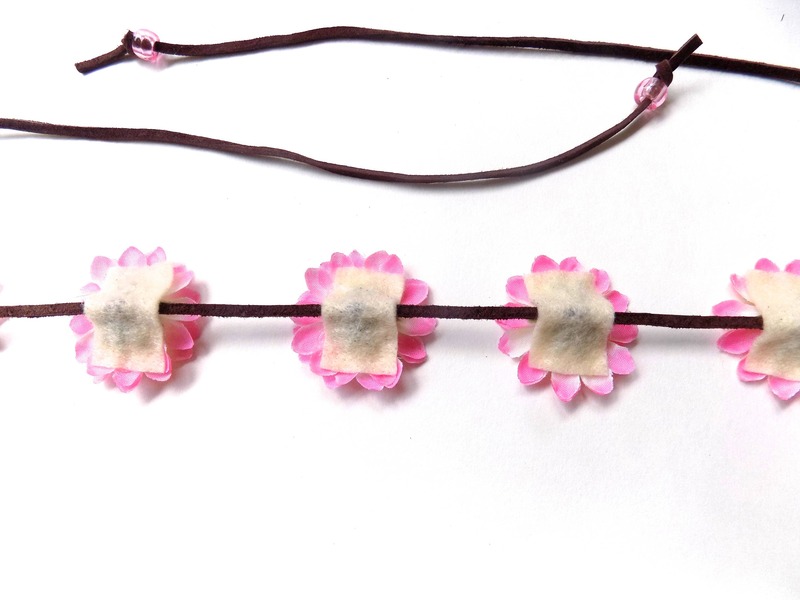 A simple leather headband adorned with seven light pink daisies. Flowers are fastened securely and are backed with felt for comfort. Headband is adjustable and ties in the back. So cute! 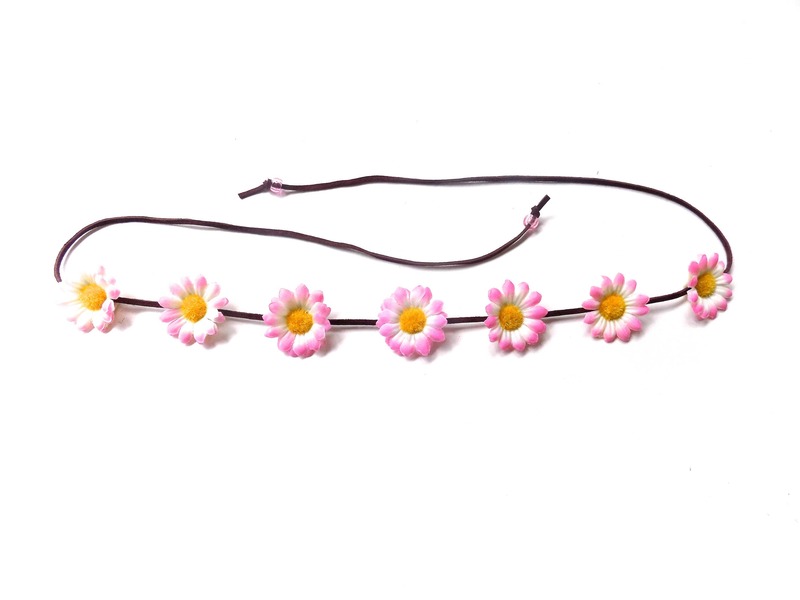 --Full length of headband measures approximately 45 inches. 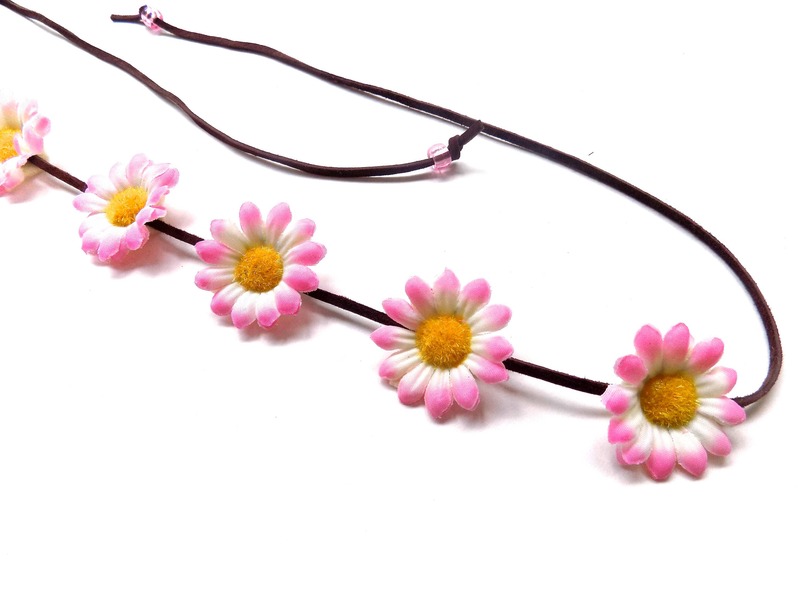 --Ends of headband are finished with small plastic beads; please note these headbands are made to order and bead color can vary. Beautiful headpiece! Just what I was looking for. And such a great price. Thank you so much!